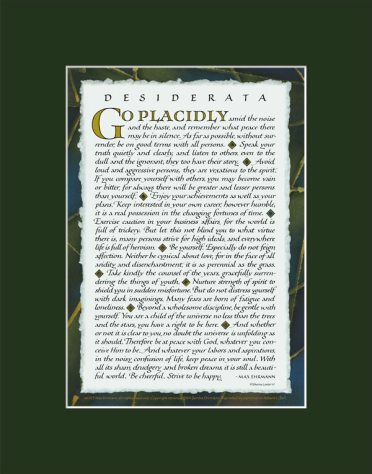 There are many versions of Desiderata. Some have punctuation variations or small changes in wording. 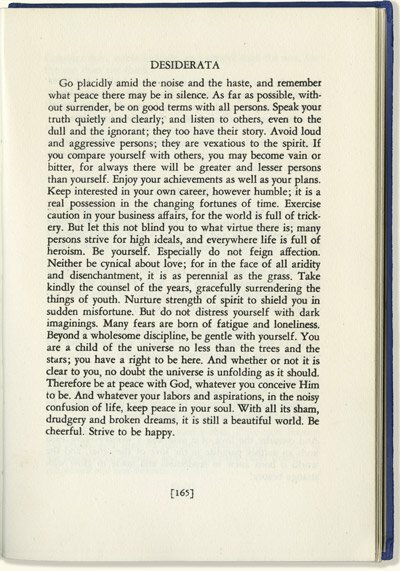 But the question, which often arises, is whether the second to last sentence should read, “Be cheerful” or “Be careful?” The first published copy of Desiderata is in The Poems of Max Ehrmann, edited by Bertha Ehrmann, published by Bruce Humphries, Inc. in 1948. 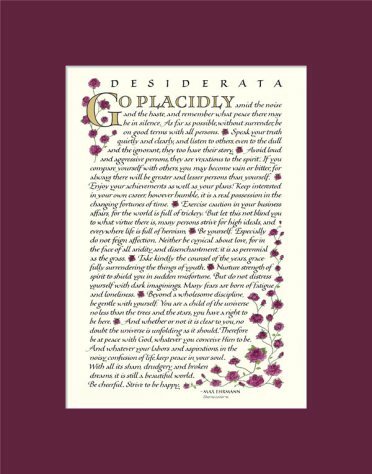 In this original version the words are, “Be cheerful,” which is more in the spirit of Ehrmann’s writings. See book page below. Bell v. Combined Registry Company, 536 F.2d 164 (7th Cir. 1976) Argued Feb. 17, 1976. Decided May 14, 1976. 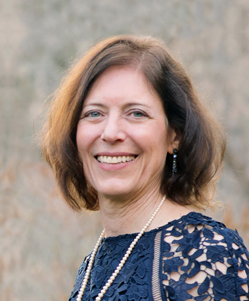 Rehearing Denied July 15, 1976.